A discussion with leading photographers about necessary and successful business transitions for the changed visual media industry. Doctors Without Border's and VII Photo's "Starved for Attention" interactive exhibits will be on view in Manhattan and Brooklyn. Broadway play about a journalist and a photographer, long-term partners who share a passion for documenting the realities of war, who face the prospect of living a more conventional life. A discussion will feature Pulitzer Prize winning photographer Carolyn Cole, award-winning photographer and author Ron Haviv, New York Times staff photographer and Pulitzer Prize finalist Michael Kamber, and Kristen Lubben associate curator at the International Center of Photography. Brian Wallis will moderate. Featuring the work of 5 award-winning photojournalists from the VII Photo Agency. 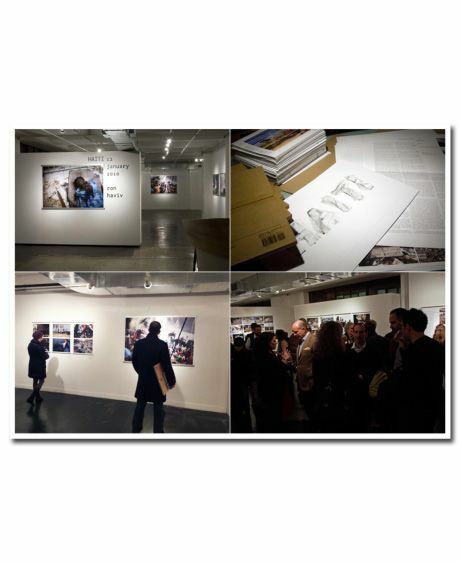 An exhibition featuring photographs by Lynsey Addario, Marcus Bleasdale, Ron Haviv, and James Nachtwey.